Autumn is one of the most beautiful seasons, mother nature works her magic as the brown hue takes over what was once green. We have put together a list of best destinations in the world to see the arrival of Autumn. Witness breathtaking views as you crunch through the fallen leaves and see the dazzling autumn colours and breathe in the fresh Autumnal air. We promise these views are impressive! 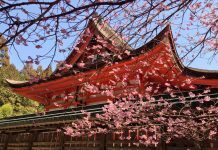 Autumn in Japan is just as exciting as the cherry blossom season. Japan’s autumn season starts in mid-September in the Hokkaido region moving towards the south of the country. One of the top viewing spots is the Towada-Hachimantai National Park. 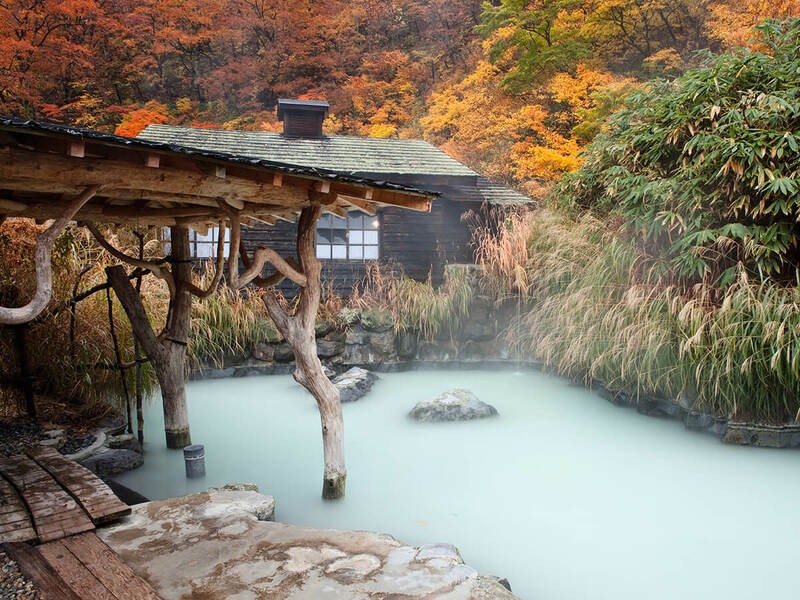 Nyuto-onsenkyo is a hot spring village located at the foot of Mt. Nyuto in the Towada-Hachimantai National Park. 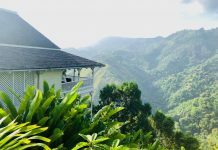 This village offers 7 different hot springs with accommodations available at all the 7 sites. The mountains surrounding the hot springs are covered with vibrant bright red and gold coloured autumn leaves so you can enjoy the arrival of Autumn from the open-air hot springs. Our recommendation: Hot Spring Taenoyu gives you the most spectacular panoramic view of the autumn leaves. 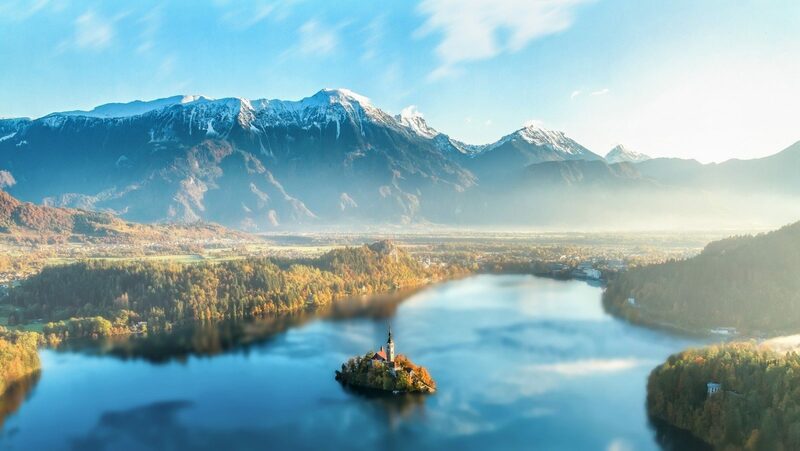 Lake Bled is one of that postcard picture perfect destinations. 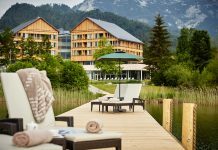 Located just a small journey away from Ljubljana this blissful village is surrounded by beautifully dramatic mountains with a picturesque floating island in the middle of the lake. To make this lake, even more, picture perfect a castle sits on top of the hill of this floating island. The views over the lake enveloped by vibrant autumn leaves are what makes the climb up to the castle worth it. Surrounded by forested mountains, this small lake measures only 6km. Pathways are covered in blankets of golden leaves making it perfect for a stroll in the woods or a bike ride to explore the scenic hills at your own pace. Our recommendation: Be sure to try Slovenia’s famous ‘Kremna Rezina’ (cream cake) from the original source Park Hotel in Bled. 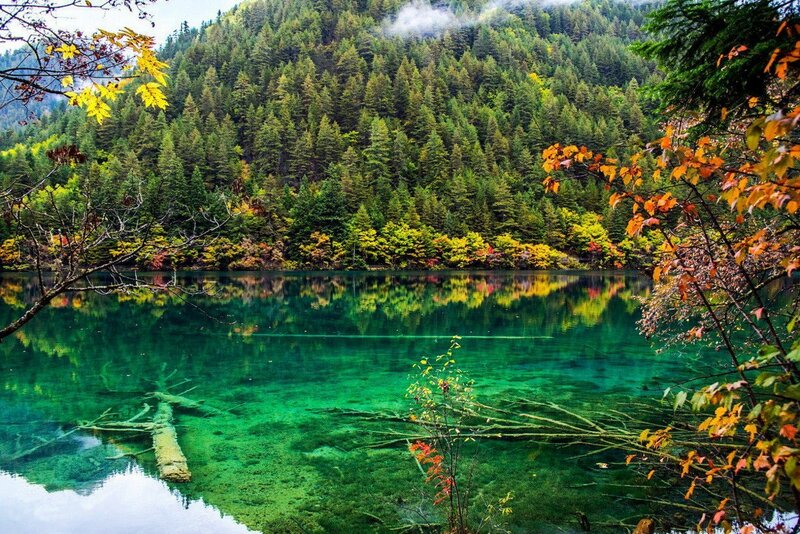 Jiuzhaigou Valley is one of those places which will blow your mind away in every season. The water level is at its highest in summer, all the lakes and waterfalls freeze in winter despite all this Autumn is the most visited season. Located on a plateau, forests cover more than half of the Jiuzhaigou Valley National Park. It has a unique ecosystem which is witnessed by the diverse flora and fauna, with dozens of pristine lakes, waterfalls, forests and rare animals you will see instantly see why this National Park is known as the ‘Fairytale on Earth’. Autumn whips up a mix of yellow and orange leaves, these dramatic colours reflecting in the in the emerald lakes is something out of a fairytale. Our recommendation: Rize Valley in Jiuzhaigou Valley National Park is one not to miss. It is located between Nuorilang Waterfall and Primeval Forest. The changing scenery there makes it the most beautiful valley in Jiuzhaigou Valley. 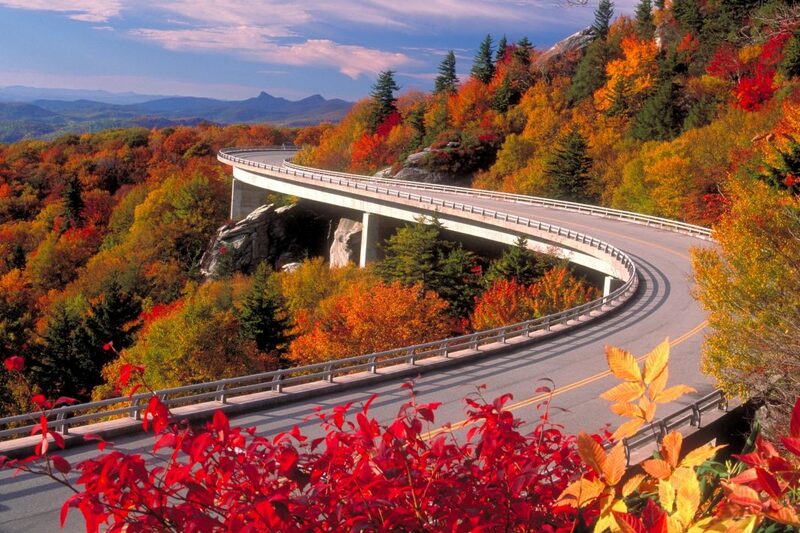 One of USA’s most scenic roads, Blue Ridge Parkway runs through Virginia and North Carolina connecting Shenandoah National Park in Virginia with the Great Smoky Mountains National Park in North Carolina. 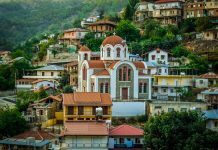 Driving down this road you will find some stunning views of the mountains, waterfalls, forests, pastoral landscapes. Different elevations along the road mean no matter when you travel you are guaranteed to see the enchanting arrival of Autumn. With limited regulations, you can pull over at any point in the road and take in the glorious views – make sure you have your camera ready! Our recommendation: Stop at stopping at Linn Cove Viaduct (MP 304.4) which is the most iconic spot. 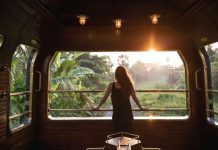 You will be surrounded by panoramic views of red and golden trees on all sides of the parkway. 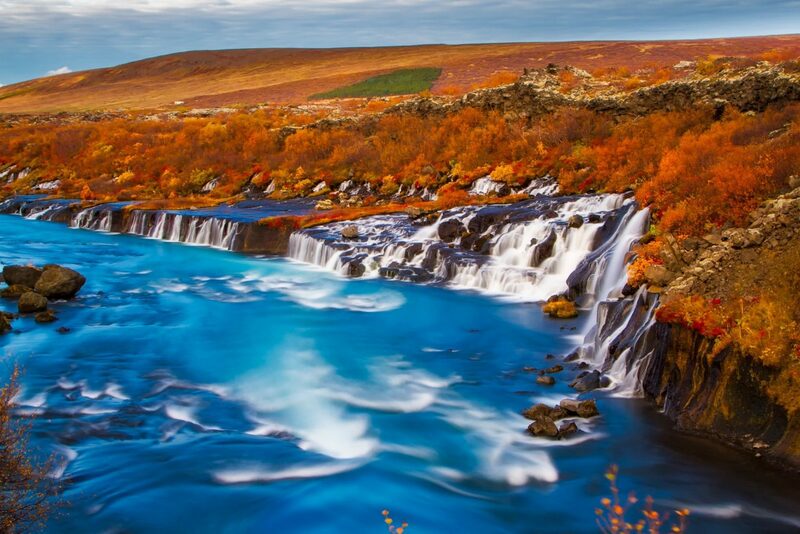 Iceland offers striking landscapes on its own but with the autumn hues, it makes them that extra bit special. The Hraunfossar waterfalls are one of the unique waterfalls in Iceland, “Hraunfossar” actually meaning “Lava Falls.” They are a series of small waterfalls formed by water stream out of the solidified lava into Hvítá river. It is an unusual natural phenomenon and along with the eye watching Autumn colours, it truly is a spectacular sight. The viewpoint is located in the parking area which gives you a great panoramic view of both, the Hraunfossar waterfalls and the Hvítá river. The Lake District is beautiful throughout the year however it will take your breath away as Autumn arrives. With beautiful hilltops, lake views and fewer visitors, autumn is arguably one of the best times to visit Lake District. As the valleys transform experience a palette of golds, browns, bronzes and reds at England’s largest national park. 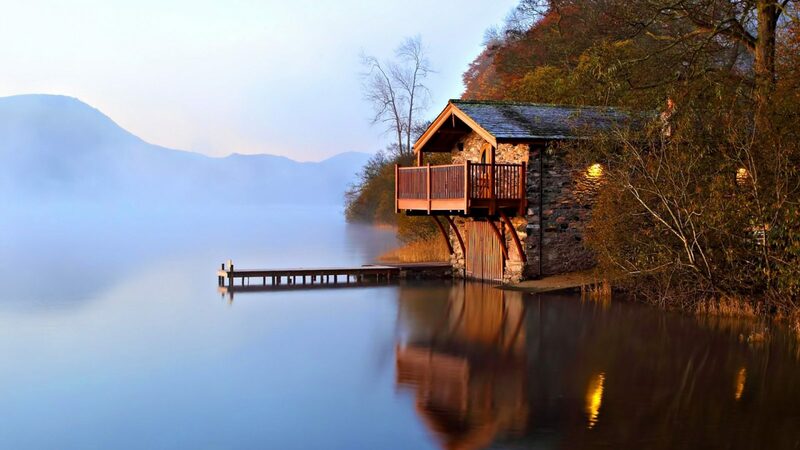 The second largest lake in the Lake District, Ullswater is the perfect place to celebrate the arrival of autumn. Take a stroll, jump on the lake cruise or enjoy some watersports, this lake has it all. One of the most photographed buildings in the whole of Lake District, The Duke of Portland Boathouse is also located in Ullswater. 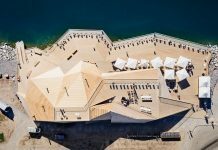 This unique boathouse gives you a chance to view the magical lakeside surroundings from the comfort of your own balcony. Our recommendation: For the best views over the lake make sure you get up early in the morning for the mist over the water and the golden leaves in the background. Autumn arrives considerably late in New Zealand but it is certainly worth the wait. 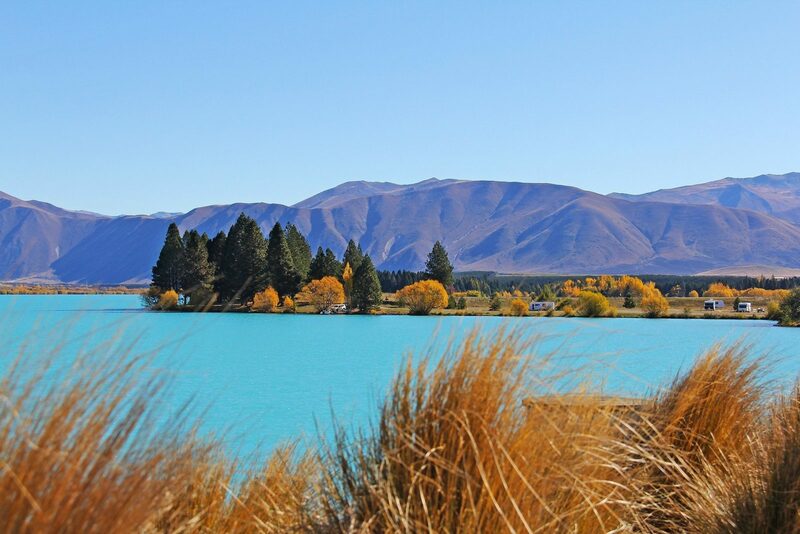 It is a magical time, especially in Lake Tekapo. This glacial lake boasts turquoise blue water and is dotted with golden spear-like bright yellow willow trees with the backdrop of dramatic mountains. It is a beautiful contrast between the hues of yellows set against the blues of the lake everywhere. The long autumn days here make it a great spot to explore the outdoors. Not only is it one of the best places to see the arrival of Autumn colours it is also the southern hemisphere’s equivalent of the Northern Lights. It is dazzling by night making it perfect for stargazing. Right on the shores of Lake Takapo is The Chalet Boutique Motel perfect base to explore this remarkable island offering views of the Southern Alps beyond the lake. Have a look at the best festivals in Autumn around the world that are worth visiting.